Popular all year round for so many different occasions, chocolate is a versatile gift, especially for a thank you or for a birthday gift. 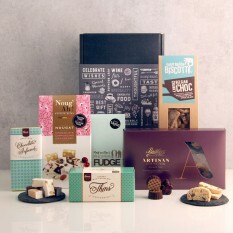 Shop our selection of delicious chocolate hampers and treats, they will make an amazing gift for your friends and loved ones. If you're like us and are addicted to chocolate, you'll know there's something irresistible about an indulgent chocolaty treat. 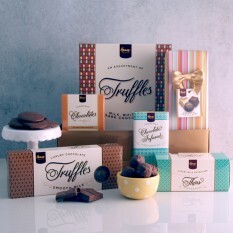 So, whether it's truffles, caramels, dark, milk or white we have a collection of sweets you won't be able to say no to! 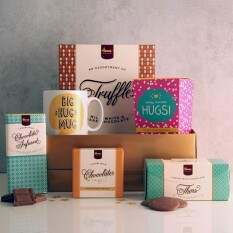 Why we think Chocolate is such a great gift? 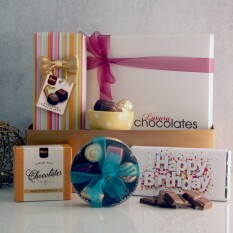 Similar to cheese, and by that we mean it's totally addicitive, chocolate always makes a fantastic gift. 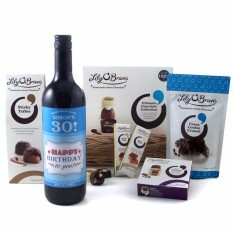 With added health benefits too... think dark chocolate! and a versatility of suiting any occasion and the ability to make anyone feel good, it is always a great choice when you're in need of a gift-giving solution. Moulded into almost any shape to suit any occasion, it's a perfect and simplistic gift choice that wins time and time again. 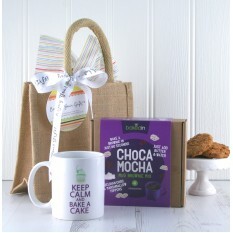 Our top seller, without a doubt, is our Chocolate Extravaganzer Hamper. 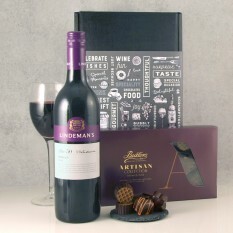 It's simply perfect to indulge in alone but there's also plenty to share with someone special and is bound to dazzle and please all recipients. Full of handmade British chocolates, each made exclusively from the premium chocolate manufacturer Belgian Pralineurs and sold worldwide in more than 100 countries, we have chosen high-quality products especially for you. 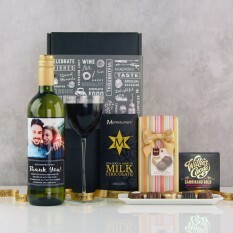 It is the solution to all your gift dilemmas; whether it is a quick fix for a Birthday occasion or a Get Well soon pick-me-up for a friend in need! If you're in search of something with even more of the wow factor, have you considered a chocolate bouquet? 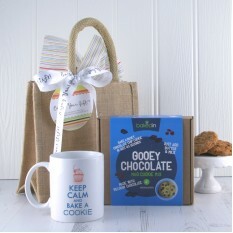 They are designed to create a big impact and are an affordable but meaningful gift idea that will go down a treat! I just wanted to say that I have ordered from Smart Gift on several occasions, all for work related occasions. This was a colleague's birthday gift and we shared it between everyone. It went down well, as always. Great prices and fast delivery, can rely on them every time. Thanks, Peter. The person receiving the hamper was thrilled. 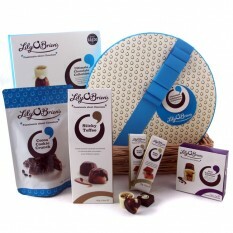 I was able to see the hamper and goodies through skype and was very impressed with the presentation and gift wrapping. 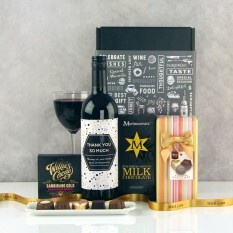 I am very likely to use smartgiftsolutions to deliver a Christmas hamper soon. First time user who is very happy.